In order for technology to be effective, it simply must be aligned with the overarching goals and objectives of the organization that it is serving. When IT can start to be integrated as a resource to achieve goals and objectives or solve problems; then it is viewed as an incredible resource, and not just a means for doing business. We recognize this at ProviNET, which is why the first conversation that we conduct in our consulting is about the organization, with the senior leadership team. Tell us about your goals, your objectives, your strategic plans, your challenges and what keeps you up at night. Let us put technology to work for you to address those items. ProviNET’s thought leaders sit down to discuss the what, why, how, and when as it pertains to IT Strategic Planning. Almost every type of organization struggles with effective information technology (IT) budgeting. 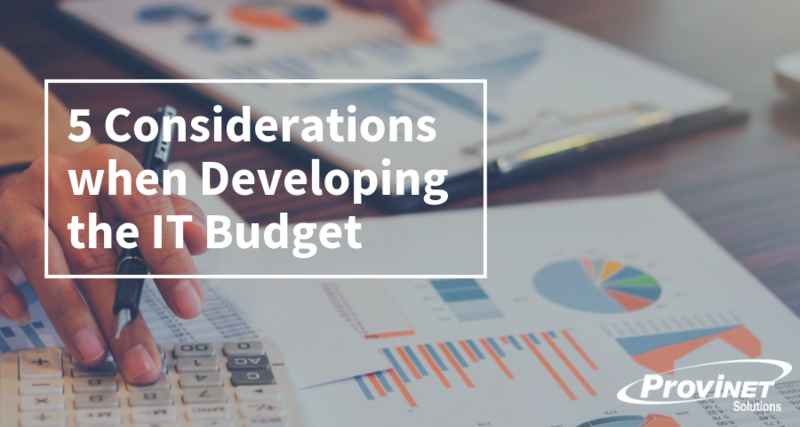 Often there is a disconnect between the IT team and the finance department; the IT team doesn’t understand the organization’s budgeting process and the finance department doesn’t understand IT. Leaders can remedy this disconnect by changing the organization’s approach to IT budgeting and move it from an annual “make it fit” endeavor into a much more meaningful ongoing planning process. Every organization, regardless of type or size, should have a strategic plan in place. Strategic planning is an organization’s process of defining its strategic direction and making decisions about how it will allocate its resources to pursue this direction. In short, the purpose of strategic planning is to help an organization establish priorities to better meet its mission. Information technology (IT) is a business imperative in this day and age. Technology has changed every sector, and the aging services field is no exception. Hence, strategic IT planning must be an integral part of an organization’s strategic planning and enterprise governance. Strategic IT planning encompasses an organization’s leadership, organizational structures and processes. This planning can help ensure that the organization achieves its strategic goals and objectives. 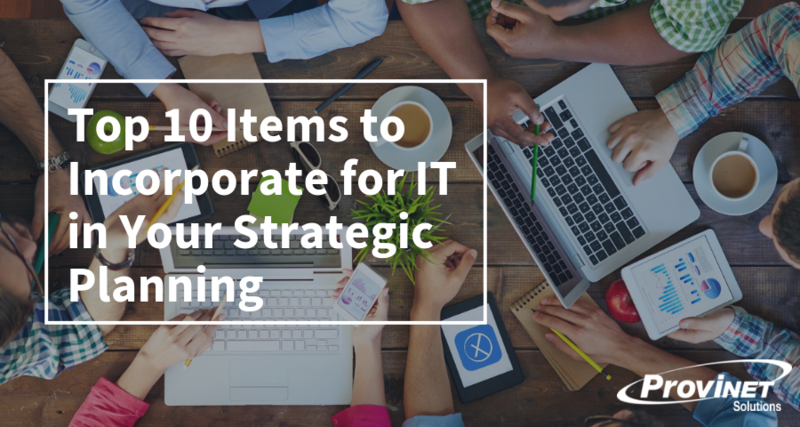 The strategic IT plan should reflect the relevance of technology to each of the organization’s strategic business goals, and changes the organization will need to make to its information and communications infrastructure. An organization’s technology environment must be aligned with its long-term strategic plan, goals and objectives. An organization’s management and governance board must recognize the critical role of technology in laying the foundation for and enabling its strategic direction and operational goals. For this reason, technology governance is ultimately the responsibility of the board and executive management. This is a piece that is often overlooked. Yet, it is essential to implementing a successful long-term technology plan. 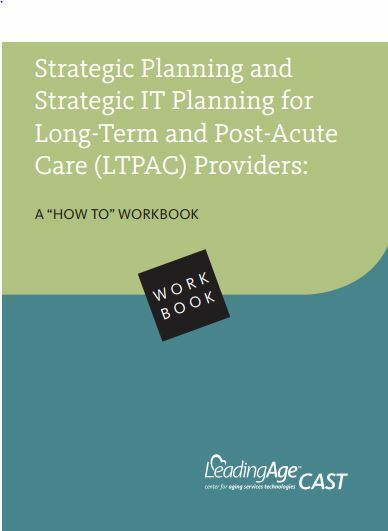 Strategic thinking about technology has never been more critical for aging services providers that are seeking to define their role in the face of a shifting reimbursement landscape, increasing demand for doing more for less, rising consumer expectations for quality, and an increasing need to demonstrate excellence through objective data. Have a question on IT Strategic Planning? Copyright © ProviNET.com - 2019 - All Rights Reserved.